I filmed a tutorial today and wanted to share with you what I have on my face! The tutorial should be up this weekend hopefully. These are the products I used to create this look. Its really simple, and I love the way it turned out. I hope everyone has a fabulous weekend! Another gorgeous makeup look:) You look like a bronze goddess! 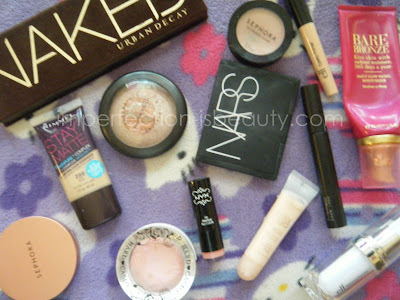 !<3 All great products you used too! This is why I love the naked palette! It can look so subtle or strong, depending on how it's used. Great look!